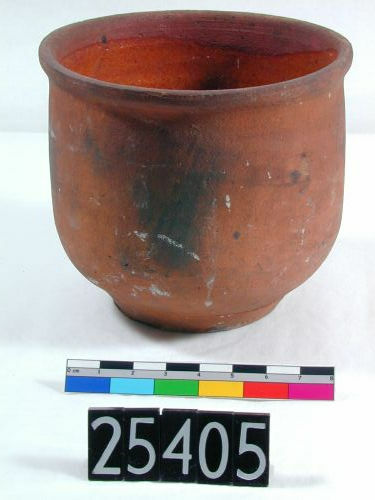 Glazed pottery is typical for the Islamic Period in Egypt, but there is evidence that is was already introduced in the Byzantine Period (Engeman 1990). In contrast to Faience and the glazed materials of the Pharaonic period, true glass was used as glazing. Colours were produced by adding metallic oxides. When transparent it could be applied over paintings. 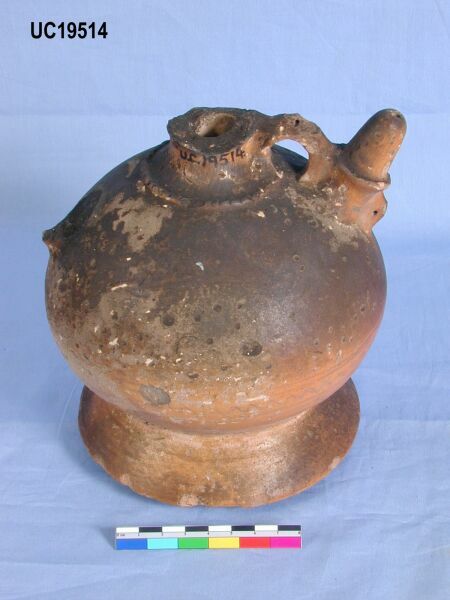 Water jugs had often filters built into the neck for keeping out the flies. Especially the examples from Egypt are produced with great delicacy (Lane 1947: 27). date 11th - 13th century. 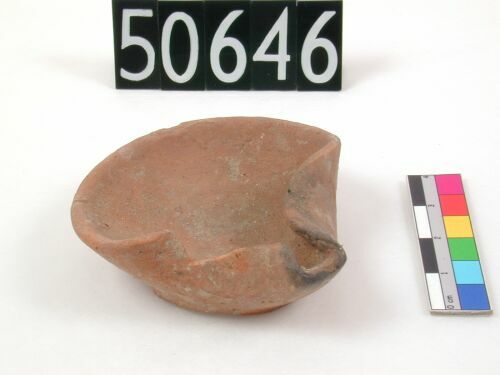 Most of the pottery of daily use produced in the Islamic period (including down to today) is unglazed.